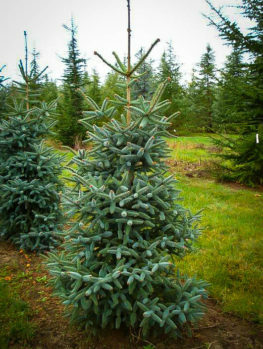 The Balsam Fir is a stunning medium-sized conifer well suited for growing in areas of the country where winters are the coldest. It is hardy to temperatures reaching -40 degrees F and where summers are cool and conditions are not warm and humid. Those living in the coolest portions of USDA zone 6 will have the best success growing this magnificent tree. 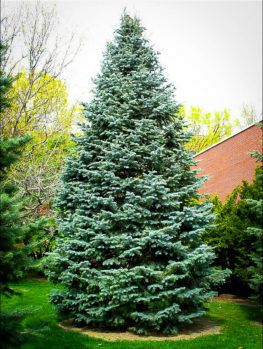 If you would like to add an outdoor Christmas tree to your property that makes a fabulous specimen, then look no further because a Balsam Fir fits the bill. 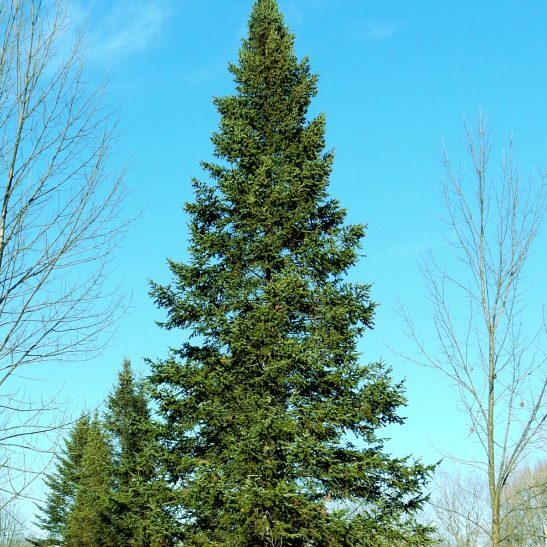 The needled evergreen grows up to 70 feet tall at maturity with a width of around 25 feet. 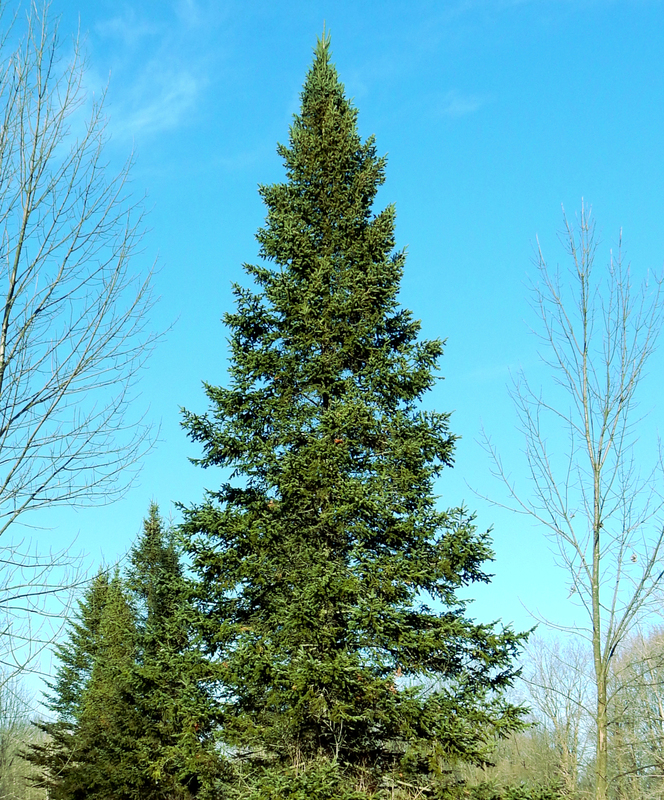 The Balsam Fir is long-lived and grows slowly, adding an additional 12 inches or less each year to its height. 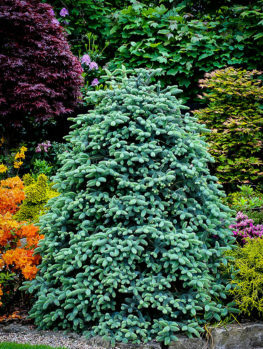 The aromatic conifer develops a narrow and symmetrical spire-shaped, dense crown. In addition, the resinous branches are covered in 1-inch, flat needles that are shiny and dark-green on top, with silvery bottoms marked with two white or gray bands. When young, the tree’s bark is green. As it ages, the bark turns grayish-brown and is covered in blisters containing the oily resin called balsam, thus the tree’s common name. As the bark matures, it breaks into small, irregular plates. Attractive seed cones ranging around 2- to 4-inches long have an upright habit on the branches, which is distinctive with firs and are purple when young. As the cones mature, they change to brown. 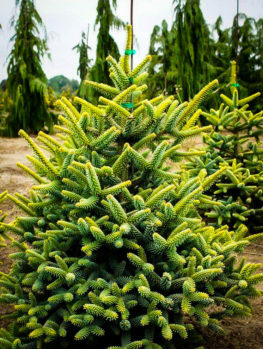 Balsam Fir trees are the perfect choice for those living in climates with long, cold winters, as the tree will not perform well in locations where summers are hot and dry. Although gardeners living in the coldest areas of the country can sometimes feel limited in what trees will thrive in their location, Balsam Firs take the intense cold without skipping a beat. They thrive in a host of different cool environments from swampy to flat forests, hardwood slopes and mountaintops ranging in height from 2,500 to 3,000 feet. Their slender and conical shape, make the tree a perfect fit for medium-sized landscapes, as the tree does not grow too wide at maturity. While young, the branches hang down almost touching the ground and crushing their needles releases their distinct, piney aroma. The attractive and erect purple cones ripen in autumn and drop from the tree in winter. The cones are covered in fan-shaped scales that are longer than wide, with the seeds ripening in September. When dusted with snow, the purple cones and evergreen limbs add an attractive interest to the landscape. 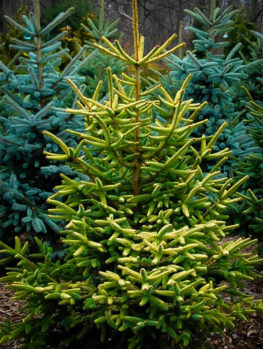 When other trees have dropped their foliage during the winter months, the Balsam Fir continues to add greenery to an otherwise dull area of the yard. 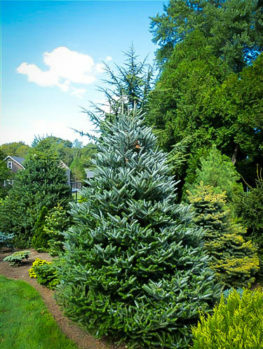 The Balsam Fir makes an eye-catching and outstanding specimen tree. Due to its medium size, slow growth and narrow width you do not have to have a large acreage for its growth. It grows well planted on slopes or a flat area of the landscape and placed where it can be a fragrant star of the show. Due to its shallow root system, it is best to plant in a location where it will not receive strong winds. It is a popular commercially grown Christmas tree, so while it is younger and you can easily reach the branches, hang some holiday lights on it to brighten up those winter nights. 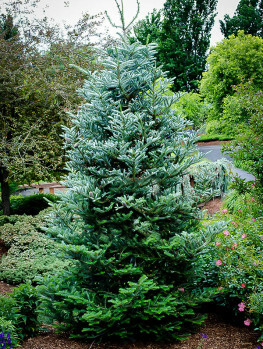 If you desire to create a habitat for wildlife in your landscape, the Balsam Fir is a perfect choice. A variety of birds, squirrels, deer and moose use the tree for a source of food and cover. Balsam Fir trees do not tolerate urban pollution, so they grow better in a rural location. When selecting their permanent site in your landscape, consider the tree’s mature height and width and do not plant in an area where it will interfere with structures or power lines. It tolerates a location receiving full sun to partial shade and planted in slightly acidic soils that drain-well but kept consistently moist. The tree will not thrive grown in heavy clay soils. In addition, the tree does have a moderate tolerance to salty conditions, making it a suitable choice for those living along the coast. The Balsam Fir tree is native to the United States, with its native range including eastern and northeastern sections of the U.S. and north through Central Canada. In the U.S. it is found growing from Minnesota east to Maine, and throughout the Appalachian Mountains to West Virginia. The tree was first described in 1768 and was long used by Native Americans for a variety of medicinal uses. Of all the varieties of Christmas trees, the Balsam Fir is the most fragrant and one of the most popular, holding its needles for a long period when cut. Trees used for the Christmas tree trade are not cut from the wild, but instead grown on plantations, and it takes around five to seven years of growth before it reaches the proper size for use. The resin the tree produces has a variety of uses from an essential oil for air fresheners and incense, Canada turpentine, and an EPA approved rodent repellent. Traditionally, it was also used as a glue for glasses, a remedy for colds, and the limbs used for mattresses. In addition, the wood is milled for framing lumber, as well as pulped and used in the manufacturing of paper. Our trees are grown from seed taken from the finest specimens of this magnificent tree and carefully grown in containers for their entire life in a nursery environment. 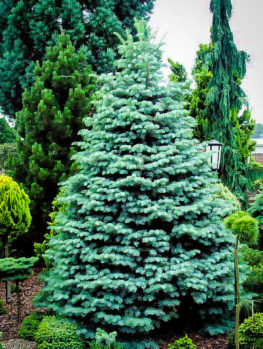 Our Balsam Firs are far superior to ones grown in open fields, which are then roughly dug, potted, and then sold cheaply. Such trees do not transplant well and will often develop poorly and eventually die.